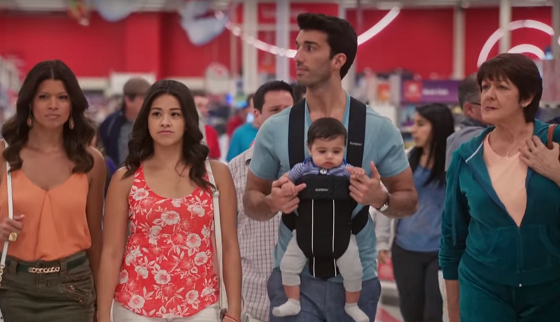 Jane The Virgin was one of seven shows renewed by The CW. The CW Network has given early renewals to seven of its primetime series for the 2017-2018 season. The announcement was made during the network's session at the Television Critics Association Press Tour in Pasadena by president Mark Pedowitz. "Over the past several seasons, The CW has built a schedule of proven performers, from our lineup of DC superheroes, to critically acclaimed comedies, to sci-fi dramas," said Pedowitz. "Early pickups of these seven series now allow our producers to plan ahead for next season, and gives us a solid base to build on for next season, with original scripted series to roll out all year long." The series being ordered for the 2017-2018 season include Arrow (Season 6), Crazy Ex-Girlfriend (Season 3), DC's Legends of Tomorrow (Season 3), The Flash (Season 4), Jane The Virgin (Season 4), Supergirl (Season 3), and Supernatural (Season 13). Specific premiere dates for each series will be announced at a later time.